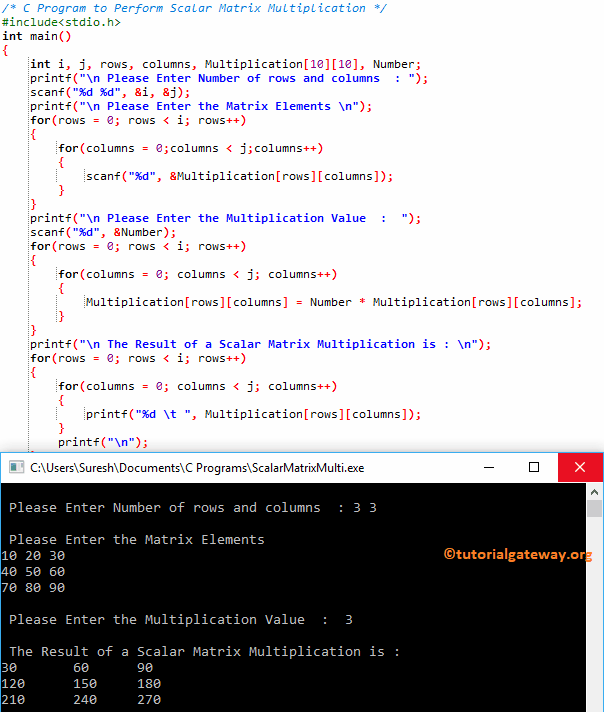 In this article, we will show you, How to write a C Program to Perform Scalar Matrix Multiplication or How to write a C program to perform Scalar Multiplication on Multi-Dimensional Array with an example. This program allows the user to enter the number of rows and columns of a Matrix. 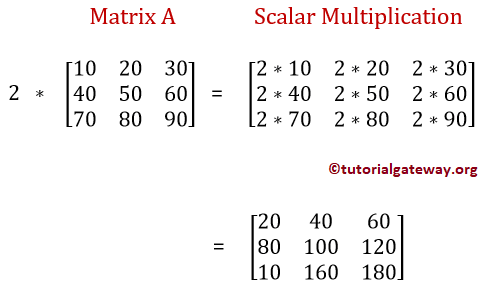 Next, we are going to perform Scalar Multiplication on this matrix using For Loop. In this Program, We declared single Two-dimensional arrays Multiplication of size of 10 * 10.
scanf statement inside the for loop will store the user entered values in every individual array element such as Multiplication, Multiplication, …..
Next, we asked the user to enter the Multiplication Number, and saved it in Number variable. In the next line, We have one more for loop to perform Scalar Multiplication. j value will be incremented. After the increment the condition inside the second for loop (columns < 3) will fail. So it will exit from the loop. Next, rows value will be incremented (rows will become 1) and starts the second-row iteration.